Beautiful North San Bernardino....... This sought home with both a city lights view and mountain view has a nice open layout with an entry hall that opens to an open living layout, dining area, 3 bedrooms and 2 baths including a 4th bedroom option or den/study area. Beautiful marble and tile floors throughout the home which includes a brick fireplace for those cold winter nights. The spacious kitchen features upgraded granite counter tops with beautiful white cabinets also Stainless steel appliances. 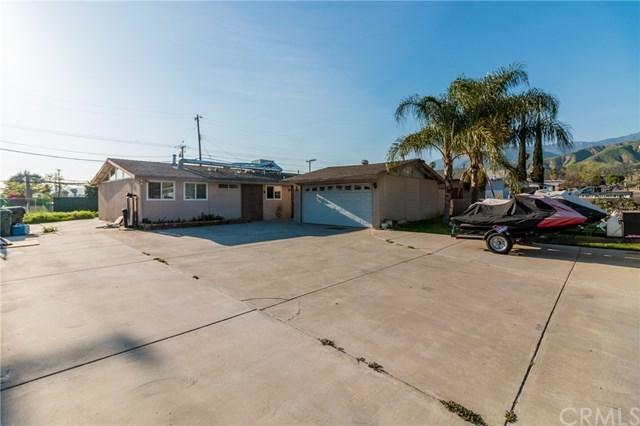 Additional features include a large park sized front yard with RV PARKING and 2 car garage. This home is close the 210, 215 and I10 freeways, only 20 minutes from Lake Arrowhead and close to dining, shopping and schools. A real pride of ownership you won't want to miss this great opportunity. Sold by Haydee Padilla of H & R Realty.